Join us for this one-of-a-kind dining experience at the award-winning, 10-acre Hilton Bialek Habitat environmental education center at the mouth of Carmel Valley. Attendees will experience a moving feast through the MEarth gardens and will have a first look at the 2018 Glass Pumpkin Patch. Share a delicious meal with Nick Leonoff and Friends created by a special line up of local chefs. This dinner is a special event part of MEarth Sustainable Chef Dinner Series: Each month, we will feature a local chef who will create a sustainable feast for 30 lucky attendees. Guests will enjoy produce grown just steps away in the surrounding organic gardens or sourced directly from small farms in our region. Best efforts will be made to source all proteins locally & sustainably to ensure the highest quality and minimal impact on the environment. All net proceeds from these dinners will go directly towards supporting the vital work of MEarth (pronounced Me-Earth) in our community: www.MEarthCarmel.org. *Please note that since the building is technically on school grounds, no alcoholic beverages will be served at the dinner. Chefs will prepare some inspired "mocktails" that will be creatively paired with courses for your enjoyment. The daily changing eight course Tasting Menu ($175 per person) is an of-the-moment celebration of seasonality and creativity.An impressive 2,500-bottle wine cellar offers renowned and undiscovered selections from famed wine regions around the world, with a particular focus on wines from Monterey County and France. For a supplement, course-by-course wine pairings are available to enhance your experience. Under the direction of Chef Cogley and his team, Aubergine has enjoyed substantial acclaim. In 2016 & 2015 they were nominated for James Beard Foundation awards including Best Chef, West and Outstanding Service. 2016 & 2015 saw Aubergine earn Wine Spectator's Best of Award of Excellence and Forbes Travel Guide’s highest Five-Star rating recognizing excellence in restaurants. 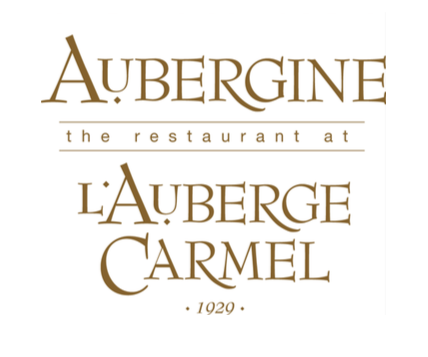 Also in 2014 L’Auberge Carmel was named Travel + Leisure’s World's Best Awards as a Top 100 Hotels Overall and one of the Top Resorts in the Continental United State. In 2013, Cogley was awarded the prestigious title of Grand Chef Relais & Châteaux, joining an esteemed list of internationally celebrated chefs and Food & Wine magazine named Justin Cogley “Best New Chef”. More information will be added as the event approaches. The purchase of tickets is tax-deductible to the extent allowed by law.